The table that perfectly matches your decor may not be the right height, but that doesn't mean you shouldn't purchase it. In the children's room, the small art table often needs to become a homework table and must grow along with your children. You can adjust the table's height yourself by replacing the wooden legs with adjustable legs. With adjustable legs, the table can return to the original lower size easily. Make a set of adjustable legs from PVC pipes, which are available at your local hardware store. PVC can be stained to match your decor. 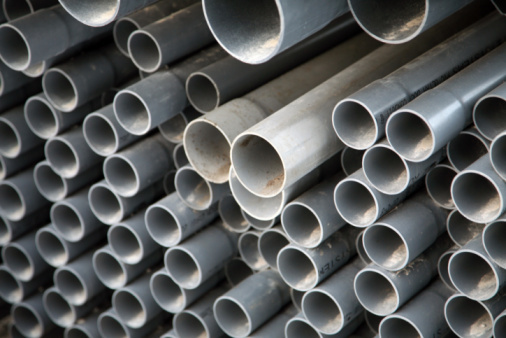 Measure one end of all four 24-inch long, 1 1/2-inch diameter PVC pipes to 6 inches. Mark these ends with six marks 1 inch apart in a consecutive straight line perpendicular from the end using a permanent marker. Drill 1/8-inch holes, through both sides of the pipe, into each mark on all four PVC pipes using a 1/8-inch straight bit and a cordless drill. Drill two 1/8-inch holes, through both sides of the pipe, 1/2 inch from the end of four 12-inch long, 1 1/4-inch PVC pipes. Insert a spring lock into the holes of the four pipes. Use a 1/8-inch straight bit and a cordless drill. 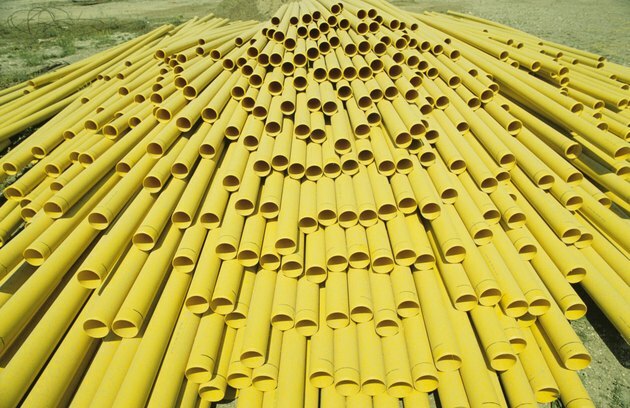 Insert the top of the 12-inch pipe into the drilled end of the 24-inch pipes so the spring lock connects with one pair of the six consecutive holes. Place PVC pipe glue on the inside edges of four PVC flat caps. Attach the caps to the free ends of the 24-inch pipes. Allow the glue to cure for two hours. Drill a 1/8-inch hole into the center of each cap. Attach the cap to a 3-by-5-inch steel leg connector with a 1/2-inch lag screw in the center of the connector using a Phillips head bit and a cordless drill. Attach the legs at the corners of the table in the three holes on each steel leg connector using 1-inch screws and a cordless drill. Insert 1 1/4-inch rubber stoppers in the open ends of the 12-inch PVC pipes.